I used to run myself ragged making everything perfect for every holiday. Like many women I had kids and then became determined to give them the same specialness that I had experienced as a child. 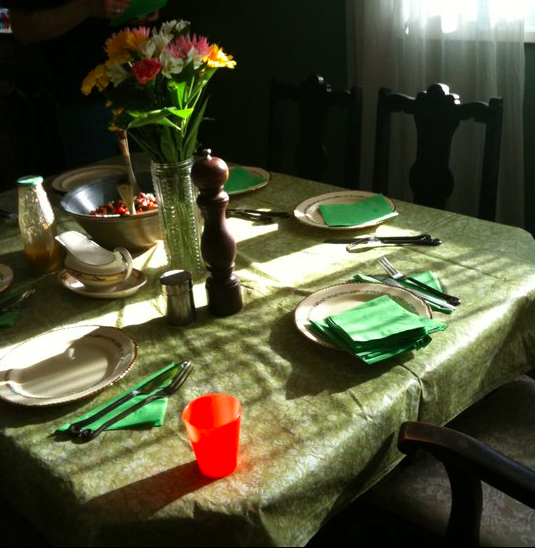 Of course, the things I remember are not the matching linens or well-placed dinnerware but that did not stop me from trying to make everything perfect to the best of my ability. Frankly, that was stupid AF. I would like to say my change of heart is because I am older and wiser but that would be a lie. The reason why I eventually toned everything down is because I started working outside the house again combined with some mysterious mobility issues (finally diagnosed & treated). It just got impossible to shop, pay for, cook, and clean up after every holiday so we finally started asking for help. Part of our challenge is that Mr. Tucker and I both come from small families. In his family it’s just his dad, his brother, and his brother’s girlfriend. On my side is my divorced parents, my dad’s girlfriend, my brother, and my brother’s girlfriend. So if you followed that confusing familial breakdown two things are pretty clear: we are the only ones with small children, and we are the only people who can feasibly host a dinner. My brother did it for a few years but we always felt badly because that left Mr. Tucker’s family out, so we are back to hosting. One holiday that was the easiest to switch up was Easter. Instead of a dinner, I finally swapped it out for a brunch. From a logistical point of view it made a lot more sense given the kids spent the day eating nothing but junk from 6am onwards. By dinnertime they were usually absolutely wiped out, which was unpleasant for all of us. It sucked to have our relatives over just when the kids were hitting a sugar crash. I also didn’t do a full-scale brunch. I pretty much stocked up on hors d’oevres and whipped up small things such as a cheese plate or veggie tray. 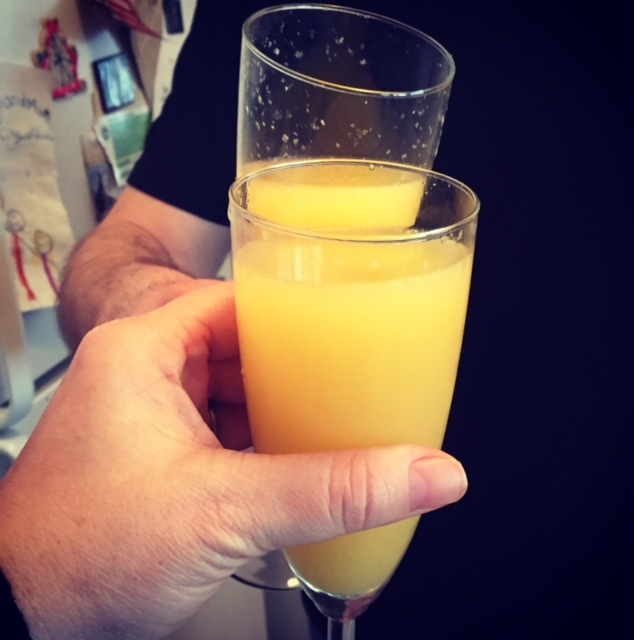 I had family bring their own contributions: prosecco, OJ, beer, breakfast sandwiches, a ham, and/or whatever small food they wanted to bring. Then brunch was just a question of heating and serving a few things. The benefit to this set-up is that the pressure was off us. A brunch is more laid back, it was all self-serve, and we spent less time in the kitchen and more time visiting with our guests. It was also easier to clean up as we used compostable paper plates and napkins. 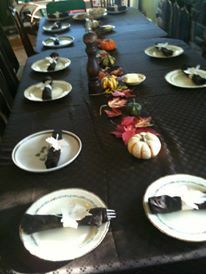 There was no elaborate dinner party to clean up after, it was all pretty much easy to host from start to finish. Don’t get me wrong: I love the elaborate dinner party. There is something just so comforting and cozy about having all my family gathered around my great-grandparent’s dining room table. 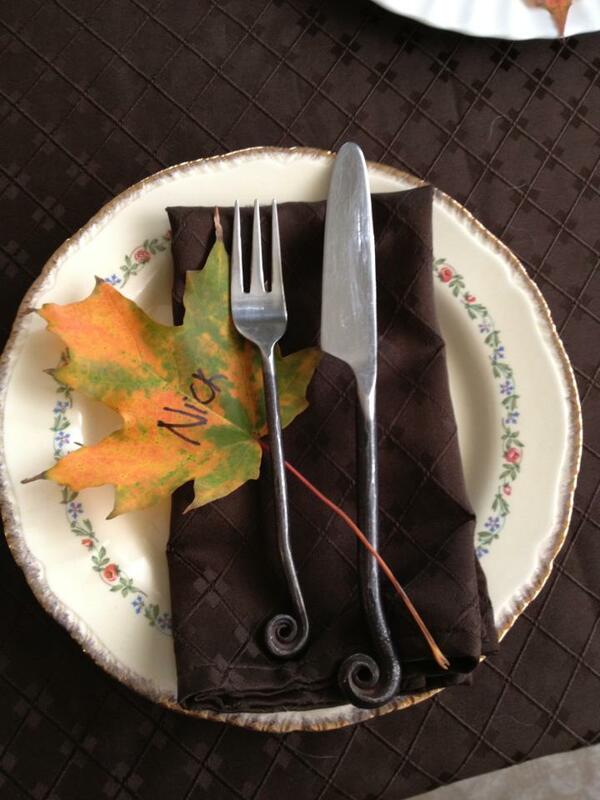 So for Thanksgiving and Christmas, we still do a sit-down dinner but we ask our guests to contribute. Often we will buy the turkey but someone else will bring a vegetable, the stuffing, buns, potatoes, and wine. So at the very least the financial pressure is off us to supply everything. I am also incredibly lucky in the fact that Mr. Tucker enjoys cooking so much that he does the majority of the heavy lifting when we do host dinners. Our families also help with tidying up afterwards and so we’ve never felt like we’ve been on the hook for every detail. Having everyone bring something even if we end up cooking it is a better way to manage a large meal. Often we are cooking for 10-12 people so this helps us keep the entire holiday manageable for our family. I have seen some people online whinge that potlucks are tacky and that if you can’t do everything then don’t bother hosting at all. Ok, fine, but that means our families would never get together as we are all fractured and the only common connection is our family. I don’t think Mr. Tucker and I could have continued to host every family get-together – financially or time/energywise – had we not switched things up and asked people to help. That would have meant not getting together at all during holidays. I feel that asking your guests to contribute and to help take the stress off the hosts is a good balance when the same family has to host every holiday. Besides, when all of us do something it frees up more time to spend actually connecting and hanging out as a family, which is the point of spending time together, after all. –	Most people are happy to contribute and help out – ask! Being forced to let go of my own “perfect holiday” narrative opened up a whole new world for me and reduced my stress monumentally. I no longer panic if the vegetables are a little overdone or if the turkey is dry. It is never about reaching some unattainable perfection. So go forth and give yourself permission to let go of what you think a holiday should be and replace it with what it really is: a time to get together: to eat, drink, and be merry. I totally agree that it’s better to share the workload than not to get together at all! I find that most people now do offer to bring something regardless of the format. I have also let go of doing it all, and am a big fan of pre-preparing, slow cooker or casserole type of meals so there’s less to do in the kitchen and more time with our guests! Love this! Works great in other aspects of life too – drop expectations of perfection and its amazing how much better it makes everything. <3 your writing, T!